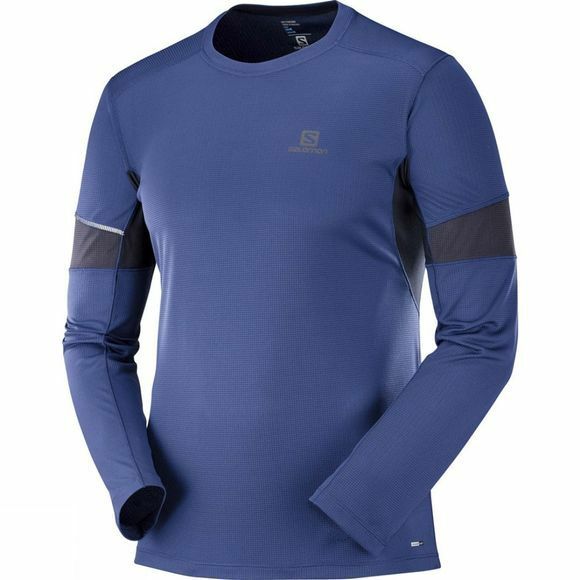 For comfort in a wide range of temperatures, the Salomon Men's Agile Long Sleeve T-Shirt combines soft, quick drying polyester with strategically placed venting. Its understated style means you can wear it for any activity. Reflective details ensure visibility when running at night.